Is it a transcription of the Dai Gohonzon? Re: What does the Nichiren Shoshu Gohonzon look like? dharmapdx wrote: Is it a transcription of the Dai Gohonzon? The current Nichiren Shoshu Gohonzon is a transcription by the current High Priest Nichinyo. Each High Priest disseminates their own transcription that more or less reflects the DaiGohonzon. Could not find a Nichinyo Gohonzon online. A very popular Nichiren Shohsu Gohonzon is the Nittatsu Gohonzon. Thanks. Surprising that this is the one Gohonzon that isnt available online. Very interesting. Thank you. Oddly this is kind of what I had suspected their Gohonzon would look like, "sharp" and sort of, um, "rigid" and "crisp." I don't mean that as an insult…. Maybe a better word for it is "authoritarian." I had expected their Gohonzon would have an authoritarian vibe about it. dharmapdx wrote: Very interesting. Thank you. Oddly this is kind of what I had suspected their Gohonzon would look like, "sharp" and sort of, um, "rigid" and "crisp." I don't mean that as an insult…. Maybe a better word for it is "authoritarian." I had expected their Gohonzon would have an authoritarian vibe about it. 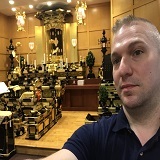 That conclusion may be true of the Gohonzon in the photograph, but it would not apply to either the Nikken (67th) Gohonzon, nor the Nittatsu one (66th). I also saw the gohonzon inscribed by the 65th high priest once. Again, very different. In my opinion they are actually very similar Gohonzon. Hmmm... they look very different to me. There is nothing sharp or jagged in the Nittatsu gohonzon and neither is it bold and in your face, like the okatagi gonhonzon inscribed by the 67th high priest. Bois de Santal wrote: Hmmm... they look very different to me. There is nothing sharp or jagged in the Nittatsu gohonzon and neither is it bold and in your face, like the okatagi gonhonzon inscribed by the 67th high priest. I like both of them. They are similar in that the printing is very "clear." You can make out just about every Chinese character. Many other Gohonzon have the Chinese characters running together. Bois de Santal wrote: Hmmm... they look very different to me. There is nothing sharp or jagged in the Nittatsu gohonzon and neither is it bold and in your face, like the okatagi gohonzon inscribed by the 67th high priest. getting hung up on styles of inscribing the characters is quite common...it detracts from what is really happening..
Melding with ceremony in the air...which is like an invisible template mandala spread out all over the earth now. and by a daily practice creating your own , similar mandala ,in your daily life which you rely on for aid in all that comes up ...learning, health , wealth , relationships ,all human endeavor. These are so crazy beautiful. I like this style (#50 in gohonzon-shu), theres another one in this style I like more but will have to dig for it again. for instance have a link to " Saikakudoppo's blog", which if followed leads to pages in Japanese. For those who can't read it, a while back Minobu mentioned the page URL can be put into translate.google.com and sometimes hints about the details of the gohonzon can be deduced from the resulting "janglish" . Minobu wrote: getting hung up on styles of inscribing the characters is quite common...it detracts from what is really happening.. I wouldn't call it 'hung up'. The calligraphy is a large part of the gohonzon. And it communicates the life condition of the person who inscribed it. The difference in calligraphic style between the 65th, 66th, 67th and 68th high priests of Nichiren Shoshu is really striking. In one sense, sure, they are all gohonzons, but at the same time we know now the background (to a lesser or greater extent) of these high priests (and Nichiren Shoshu itself) and that cannot help but have an impact on the experience of chanting to a gohonzon inscribed by one of them. For example, there are quite a lot of Nikken gohonzons available on e-bay. That says a lot in my opinion. Could you really do that with a gohonzon inscribed by Nikken Shonin? I wouldn't call it 'hung up'. in the sense i was concentrating on the style like the two sanskrit charters ...then look at the ichinen sanzen Gohonzon made by Nichiren shonin and some of His others and they can be quite different. The calligraphy is a large part of the gohonzon. And it communicates the life condition of the person who inscribed it. The difference in calligraphic style between the 65th, 66th, 67th and 68th high priests of Nichiren Shoshu is really striking. not unlike Nichiren Shonin Himself . In one sense, sure, they are all gohonzons, but at the same time we know now the background (to a lesser or greater extent) of these high priests (and Nichiren Shoshu itself) and that cannot help but have an impact on the experience of chanting to a gohonzon inscribed by one of them. For example, there are quite a lot of Nikken gohonzons available on e-bay. That says a lot in my opinion. high Priest Nittatsu is very much saught after...what aspect of High Priest Nikken are you fosusing on with that statement ? I'm sure there are some who would argue that the very fact that they were inscribed by a high priest of NS in itself renders them invalid. At the very least it is important to feel that the provenance of a gohonzon is authentic. thats me all the way ..
Now there are many a post by me over the years and here as of late as well about this whole concept of Namu'ing to characters of high priests whom we have no idea what is their life condition...Which is what you are talking about...yes/no..
this is the thing....these guys like it or not are or have been our teachers, and gurus. In Buddhism lineage and master disciple is everything. Everything about Lord Shakyamuni's life is a play..it is all acted out by Him for us to learn....I feel it is the same with Nichiren Daishonin's life...it's all a three act play for prosperity...his entire Life is a lesson..
Minobu wrote: Melding with ceremony in the air...which is like an invisible template mandala spread out all over the earth now. Bois de Santal wrote: Could you really do that with a gohonzon inscribed by Nikken Shonin? Look i don't know what Nikken shonin or ikeda are really about...they both from where i stand are two sides of the same coin...but they are as much of this practice as i am...And in the infinite time ahead and behind us who knows eh ! We should not slander each other ..especially people involved in this Lotus Buddhism...you know when you gossip about somebody ...then life takes a few turns and you find yourself involved with them and wish you had not gossipped about them...same deal is gonna happen to all of us who criticise other practitioners and Bodhisattvas of the Earth. I'm not convinced. I checked last time I was on Tozan and the number of characters in the middle at the bottom of this picture is not the same as the Daigohonzon in the Hoando. It probably is a Nichiren Shoshu temple Gohonzon though. it includes the usual early 1900's photo, and one apparently more recent by Saikakudoppo - that one is most interesting given the long standing proscription against photography. The paper includes a lot of forensic work relating the dai-gohonzon to extant versions, comparing and constrasting style, format etc. Very interesting reading. Nikken on the right, Nichinyo on the left.